A fourth-generation Ohio REALTOR, Renee earned her sales license in 1997 and her insurance license in 1999. She is a 1990 graduate of Tiffin Columbian High School and 1994 graduate of The Ohio State University. In 2014, Renee and her cousin Phillip purchased Bolte Real Estate from Renee’s aunt Cindy Bolte. With the foundation of a successful business already in place, Phillip and Renee have put their own personal touch on their team at Bolte Real Estate with the simple principles of: treat people right, have fun, and enjoy life. 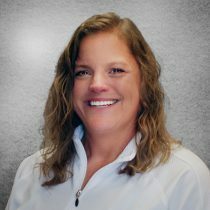 In her free time, Renee enjoys watching her two children McKenzie and Cooper play sports, volunteering for their booster clubs, watching the Buckeyes and the Browns, cooking, reading and spending time on the water with her husband Cory.